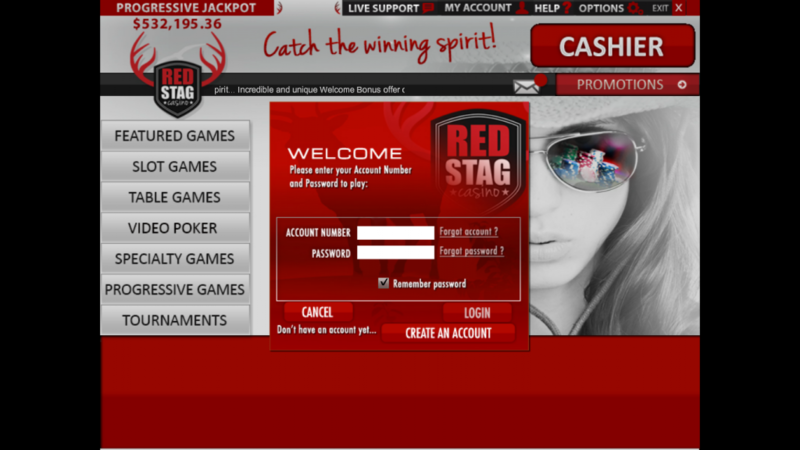 Whether players are new to online casinos and online gambling or are more experienced, Red Stag casino is a top-notch choice. 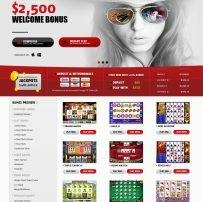 While this online casino is still a new contender in the industry, this company not only boasts an exciting selection of casino games that will undoubtedly grow over time, these games offer rewarding payout and high winning odds, as well as a fantastic Welcome bonus pack, exclusive tournaments, an extensive selection of payment options and a great customer support team. 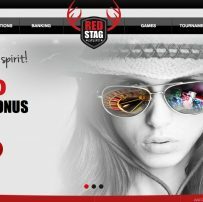 In addition, Red Stag’s VIP Club is also worthy of mentioning with 6 levels that offer amazing rewards for all types of bettors. Starting from the Beer Club level and all the way up to the Champagne Club tier, players will be able to claim extra bonuses, special promotions, cashback and much more. 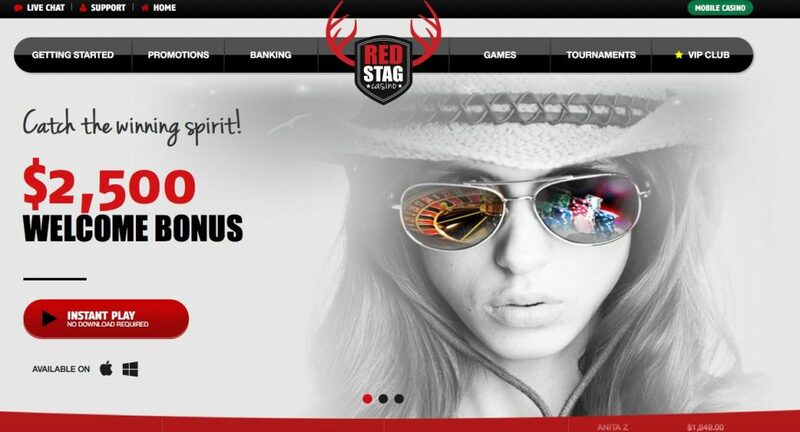 There are 6 different types of online slots that can be played at Red Stag casino including 3-reel slots, 3-reel slots bonus, 5-reel slots, 5-reel slots bonus, 7-reel slots and traditional slots. The table games include Baccarat, Roulette, Blackjack, several variants of poker and more. A number of innovative video poker games are also on offer. The casino also offers interesting Specialty Games, which include Bingo Bucks, Keno, Dazzling Dice, Poker Dice, and Poker Slots. Players need to make a minimum deposit amount of $25 and a maximum of $200 to opt for the Welcome Bonus pack. The Welcome Bonus pack is subject to certain conditions, which are explained in the Bonus Rules section. The $2,500 Bonus pack is available to one person only per family, location, credit card, and other conditions. 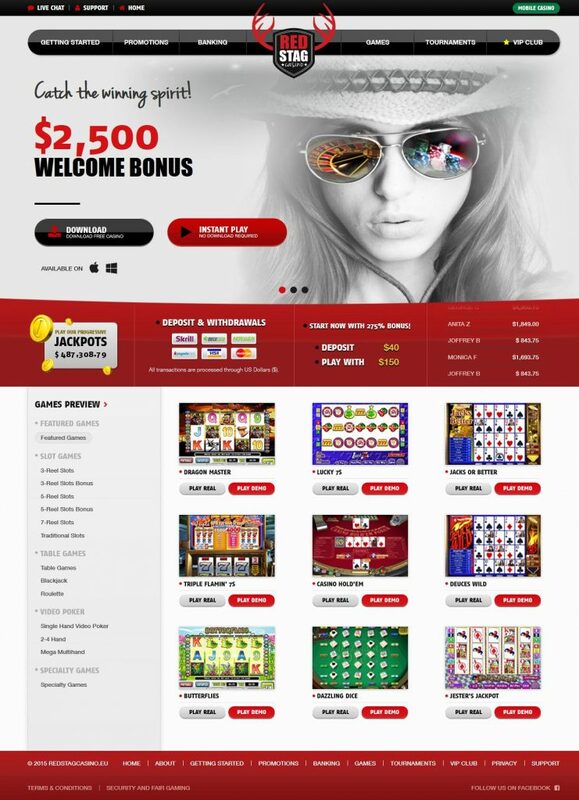 Furthermore, Red Stag players also have the option to play with 25% Instant Cashback. This rewarding offer is easy to claim right after players lose their deposit amount when betting. Players must then contact a customer service agent to claim their cashback. This offer also has a 30 times wagering requirement on all games, except Craps and Roulette. 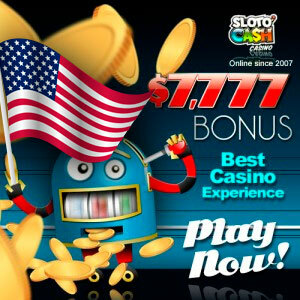 Additional bonuses occur in the middle of all the action with special bonus round features, plus free spins that will help players amass even more wins. 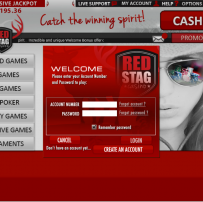 There are eight different deposit methods available to Red Stag players, and two of those options can also function as a means of withdrawal. Making a deposit at Red Stag is simple, fast and secure. Regardless of the method that’s chosen, players can rest easy that their personal and financial information is kept safe and private at all times with high-tech encryption technology. The user-friendly deposit methods consist of Credit Cards, which include Visa, MasterCard and Amex. This deposit option has a minimum deposit limit set at $35. Another excellent deposit option is Skrill, with a minimum deposit amount of $20 and a maximum of $1,500 per transaction. Electronic wallet leader Neteller is also available as a deposit option and has a minimum deposit amount of $20 and a maximum of $1,500 per transaction. Furthermore, Quickcash is also offered with a minimum deposit amount of $100 per transaction. 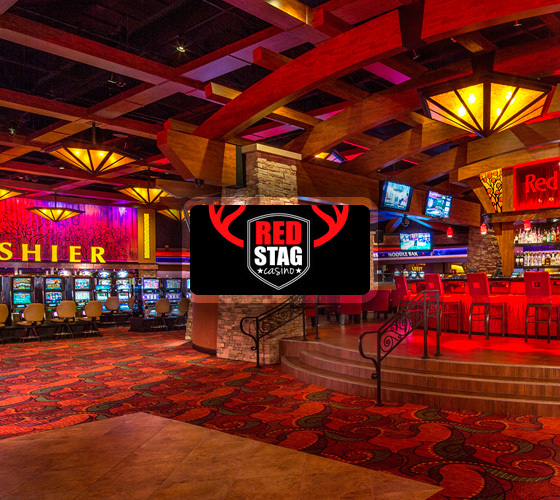 Players joining Red Stag from outside the United States can deposit using SOFORT, with a minimum deposit amount of $5 and a maximum of $5,000 per transaction, or Paysafecard, with a minimum deposit amount of $1 and a maximum of $1,000 per transaction. Requesting a payout is also a walk in the park for Red Stag casino players. Bettors can choose to receive their funds via Check, with a waiting period that takes up to 5 days and has a minimum of $150 and maximum of $2,000 per week. Additionally, players can request a Bank Wire payout, which usually takes up to 10 days to be completed and has a minimum of $150 and maximum of $2,500 per week. Bettors located outside of the United States looking to withdraw their winnings can select either Skrill or Neteller as their preferred withdrawal option. These companies usually take up to 2 days to process a payout and have a minimum of $150 and maximum of $2,000 per week.